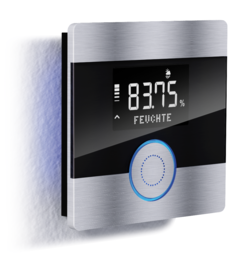 Bus-powered room controller with integrated speech recognition, temperature, humidity and (color) light measurement, with optical and acoustic feedback. Three configurable KNX buttons at the device. Depending on the variant with arbitrary sound output.